The best way to get to know a community is by scheduling a tour. See the facilities, meet the staff and residents, and get a feel first hand what it's like to live at A KInd Heart Home Care. 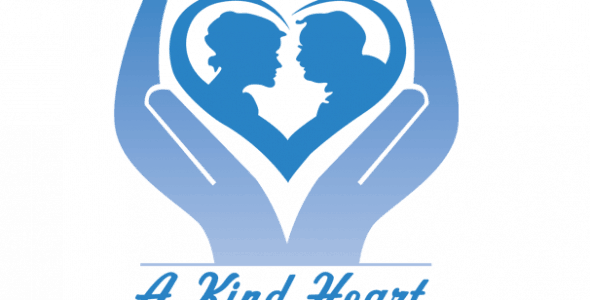 Welcome to A Kind Heart in home care. We put your family’s health and well being first. We are a senior and elderly care organization that provides excellent care in the comfort of your own home. We strive to offer the best advice and services to keep your family as healthy and safe as possible. We strive to provide home service worker services to client's in their homes. For many seniors, living at home for as many years as possible is a priority. A Kind Heart provides in-home care services that can help prolong an aging person’s ability to live independently and safely. Our in-home care services, which transforms day-to-day caregiving into opportunities for meaningful conversation and activities that engage and enrich the lives of seniors physically, mentally, socially, and emotionally. From help with meals and mobility to personal care and errands, our in-home care lends a helping hand while enhancing our clients’ quality of life. For seniors who have physical or cognitive impairments or who fear falling while bathing, having help maintaining a bath-time routine can postpone future decline and disability. Our goal at A Kind Heart is to assist our clients with their personal care routines so they can look and feel their best. Our services enhance clients’ mental and physical wellbeing, helping them feel positive about their appearance. Getting out and about offers many physical and mental health benefits to seniors, including lowering blood pressure and reducing the risk for heart problems, osteoporosis, and depression. Being active also can also help seniors improve their quality of life by controlling weight and improving sleep. Our caregivers at A Kind Heart assist clients as needed with getting from place to place to help them stay as active as possible. Our Caregivers at A Kind Heart are trained to safely move clients in and out of beds, into chairs or wheelchairs, or onto toilets. Proper transferring and positioning in and out of beds and chairs can reduce the risk of bedsores, reduce weakening and stiffening of muscles, and encourage proper breathing and digestion. It also helps seniors be as comfortable as possible. Seniors may feel embarrassed with needing help with toileting and incontinence care, but it is actually a common issue. Incontinence can be caused by a variety of reasons, including stress and disease. When seniors don’t have help, skin infections, unpleasant odors, and general hygiene problems can be a danger—not to mention lead to even more embarrassment.We step in to compassionately and sensitively assess the problem and make a care plan, helping seniors maintain dignity and self-esteem as they receive help with the more personal aspects of daily living. Eating well is important at every life stage, and even small dietary improvements can make a positive impact on how a senior feels. Some seniors have difficulty feeding themselves. Others have problems with chewing and digestion, difficulty tasting and smelling, or experience a loss of appetite. Many seniors simply do not want to eat alone. Our Caregivers help certain clients stay on prescribed diets to prevent or control a wide variety of medical conditions like heart disease, diabetes, and osteoporosis. Our Caregivers also help clients eat nutritious diets to promote disease prevention, healing, and healthy living. We make an extra effort to turn meals into enjoyable social time by engaging our clients in conversation over food. Studies show that staying social and engaged increases seniors’ quality of life and prevents depression and cognitive decline. Our Caregivers can provide clients with friendly company, conversation, and mealtime companionship. Eating nutritious meals can make health issues easier to manage, help prevent future health problems, help increase energy levels, and keep weight in check. For seniors who have trouble with meal preparation, our Caregivers can cook hot, delicious, wholesome meals, allowing clients to help with preparation according to their ability. Preparing food together can make mealtime a more social and enjoyable experience. Clean laundry is a must, but for some seniors this chore can be too physically demanding to do alone. Our Caregivers can take care of all laundry needs, either in the client’s home or at a nearby laundromat. Services include washing, drying, ironing, and putting laundry away. Our Caregivers work with clients to make sure laundry is done according to their preferences. Housekeeping help can prolong a senior’s ability to live independently at home. At A Kind Heart our Caregivers provide light housekeeping services include vacuuming, dusting, sweeping and mopping floors, cleaning bathrooms (sinks, tubs, showers, and toilets), cleaning kitchens (sinks, appliances, counters, taking out trash), straightening all rooms, organizing closets and drawers, and cleaning any interior windows that can be reached without a ladder. Illness, weakness, and an inability to drive are just a few factors keeping seniors from working through an ordinary to-do list. Having help with shopping and errands keeps seniors engaged and improves quality of life. Our Caregivers can shop for groceries at their clients’ preferred stores and run errands, such as picking up prescriptions or stopping at the post office. Clients may choose to stay home or come along for the ride as a way to stay active and engaged. One way to help prevent the social isolation, loneliness, and depression common in seniors is to simply get out and about. If driving isn’t an option, our Caregivers will provide transportation incidental to other care services, such as taking clients to medical appointments, barbershops, beauty salons, shopping, meeting a friend for lunch, or wherever else a client wants to go. Being out and about benefits a senior’s mind, body, and spirit. Although our Caregivers cannot administer medications, they can help ensure that clients take their medication as prescribed. We can assist with reading labels, and reminding the client when it is time for the next dose. Paying special attention to grooming can help a senior feel and look better. As a person ages, grooming can sometimes present physical challenges. Our Caregivers assist clients with shampooing, shaving, hair combing and styling, and other grooming needs so seniors can look and feel their best.